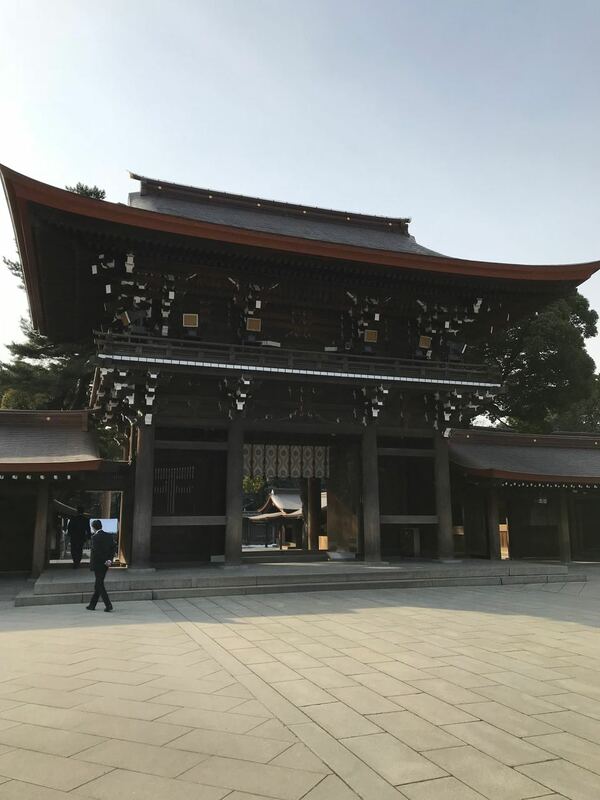 For a general overview of my experience in Japan, see my Japan Tips. 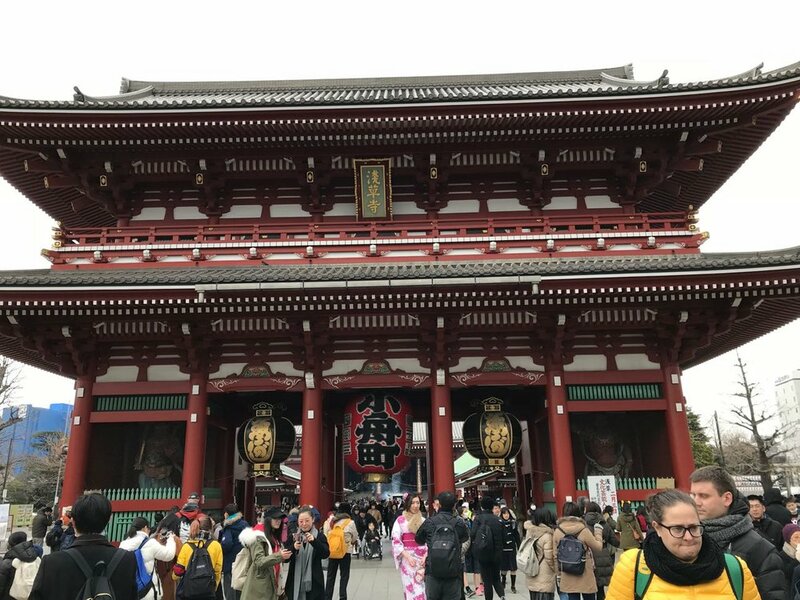 This post is a guide to things to see and eat in and around Tokyo, how to get there, and where I stayed. The last time I was in Tokyo was 1990. I remember getting bit by a squirrel at the giant Buddha statue and not being allowed to go on the Haunted Mansion ride at Disneyland, but not much else. While that was an eventful thrip for four-year-old me, I tend to shove that experience into the "hardly counts" bucket. Coming back 27 years later, I was approaching Tokyo with the fresh eyes of a newbie. Since I didn't want to lose a day of my short trip to a Disney park, and TSA regulations meant I wasn't going to exact sweet, sweet rodent revenge with a bb gun, I decided to stick mostly to the city, with one day trip to go see Mt. Fuji. Ramen, pancakes, gyoza, curry, sweets. You can find whatever you want to eat in Tokyo. Going in the winter, the most satisfying thing in the world was tucking into a bowl of ramen or plate of curry, stuffing my belly and thawing out. Yes, it's basically a chain now. Yes, they just opened one in SF. But I went anyway, because I read more than one guide that counted it among the best ramen in Tokyo, and who am I to argue with that? And now everyday when I walk home from work past the line outside the SF location, I'm happy all over again that I bellied up to the counter at the Roppongi location for a bowl of ramen and fried dumplings. Both were excellent, by the way. Did I travel to Tokyo for one specific bowl of ramen? Not exactly, but this place definitely put the idea in my head that maybe, just maybe I should head to Japan to stand in a long line in Tokyo station for tsukemen ramen. And I'm not saying you should now fly to Japan just to eat here, but if you are already heading to Tokyo this place should be on your list. There's something I love about this style of ramen, dipping cold noodles in an almost gravy-like broth. And, if you don't want to wait in the line at Tokyo station, they have an outpost in the International Terminal at Haneda too. So, fun story: I went to the Granroof Tokyo Station location twice during my trip, because it was a lovely bar to sit in and escape from the cold, and I thought, how nice, I found a decent IPA in Japan! I was back home for a week before I recognized a familiar owl sign, and I realized I pass this place everyday on my way to and from work in SF. So, not quite the local find I thought it was, oops. You may already know that impossibly fluffy, souffle pancakes are a bit of a thing in Japan. I sort of knew this, but then during my food research for the trip I discovered there are so many places you can go where the only thing on the menu are these pancakes. Flippers is one such place, and I waited in the pouring rain outside their Shimokitazawa location for my chance to sample a plate of these pillowy wonders. I honestly wanted a little more out of these than the barely flavored sweet air I got, but maybe other chains are better, maybe I should have ordered the chocolate ones, or maybe the whole point is the raft of sweetened whipped cream on top and the experience of standing in line with 20 Japanese teenagers? If you see anyone walking around Tokyo eating what looks like an entire, cross-hatched loaf of bread, it's probably melon pan. These sweet loaves look massive, but are basically bread cotton candy (they don't taste like melon! ), and collapse into only a few bites. I tried the melon pan from two places; a plain, lightly sweetened loaf from Kagetsudo in Asakusa near Sensoji Temple and a caramel flavored bun from Tokyo Melon Pan. If you want gyoza, this place has gyoza, and not much else on the menu. Dumplings come in pork, fried or steamed, and inexpensively. The menu may not be varied but it doesn't matter because what they do have is delicious. So I accidentally got really excited over the choux sticks at a train station bakery, only to look at the bag it came in and realize I had gone to Beard Papa's. It turns out they are a Japanese chain, but another one that I walk by everyday at home, so I was a little bummed I had gone to an SF place, even for an impulse sugar fix. 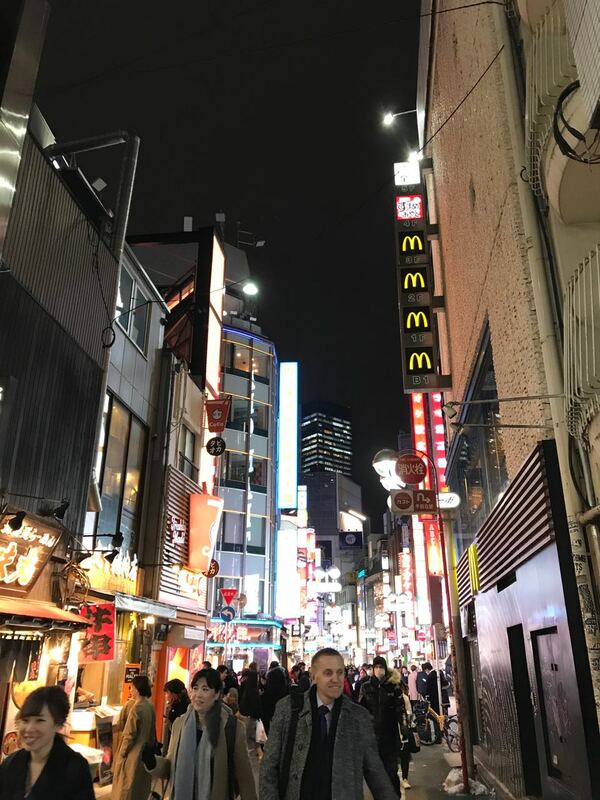 Which is why, the next day in Harajuku, I was hesitant to investigate the heavenly smell wafting down Takeshita dori, in case it turned out to be McDonald's apple pies or something. But no, it was cream puff sticks again, but these were incredible, crunchy on the outside and full of sweet, delicious pastry cream inside. I would have happily eaten two or three, but I had fried pork and gyoza still on the menu that day. Speaking of fried pork, I can't imagine not screaming at anyone and everyone to go to Maisen. Yeah, it's internet famous and so probably not cool anymore, but damn if this wasn't the best fried pork cutlet (or any meat cutlet) I've ever had, and this is from a girl who ate a vast quantity of schnitzel as a child. The pork was perfect and expertly fried, and I ate the entire massive piece after a day of playing food tourist across Tokyo. Honestly, I blame the applesauce, that stuff was magic. I hear this place can be a zoo during the day, but I went after 6pm for dinner, and I was the only diner at the counter. As someone who vehemently does not eat raw fish, did it make sense for me to go to Tsukiji fish market in search of breakfast on a freezing cold, snowy morning? Absolutely. Because I got to laugh at the poor suckers huddled under awnings waiting for their sushi dreams to come true while I just popped right into this curry joint, warm and steaming from the pots of stew cooking in the back. I pointed vaguely at the menu and immediately received a platter of spicy and sweet tomato curries, divided down the middle by a barrier of rice. I grabbed a spoon and dug in, and it was the best breakfast I had in Tokyo. Unlike Kyoto, in Tokyo it can be a little harder to answer the question, "What should I do today?" when it's freezing cold outside and you don't want to go shopping. But there are more shrines to see, streets to explore, and of course, via a short day trip, majestic Fuji-san. Arguably the most famous intersection in the world, it's completely worth hopping on a train to Shibuya to join the throngs of pedestrians criss crossing beneath the neon billboards. Maybe it was too cold or maybe I went at the wrong time of day, but I didn't witness the fashion spectacle I was expecting in Harajuku. Even so, there was plenty of fun people watching on Takeshita dori, and those crazy amazing cream puffs I mentioned above. 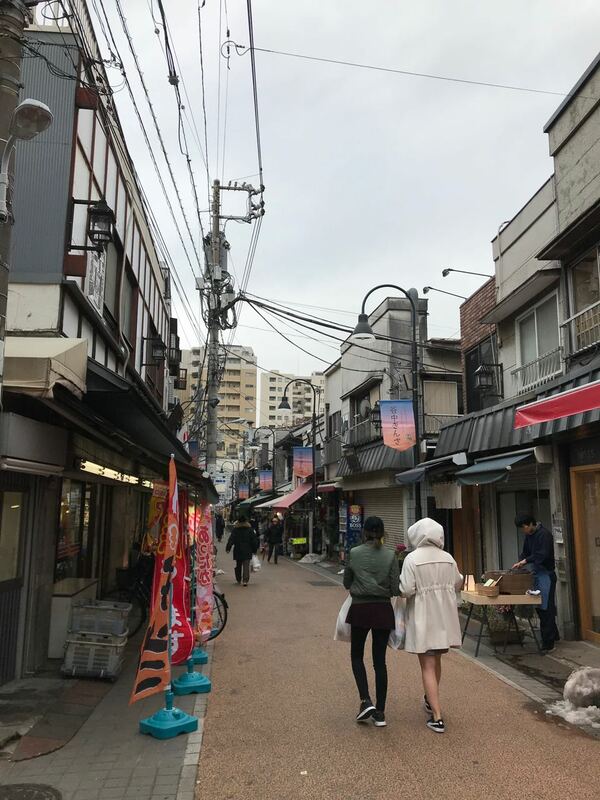 This neighborhood wasn't bombed during World War II, and so you can find a completely different feel here than in other areas of Tokyo that are entirely modern construction. I wandered down the little main street and stopped in a tea shop. If you have the time, it's worth the train ride for experience a completely different ambience than I found anywhere else in Tokyo. I didn't really seek out any shrines or temples in Tokyo, because I certainly saw plenty in Kyoto. But this rebuilt shrine is located in a beautiful park on the edge of Harajuku, and I think it's worth walking through on the way. 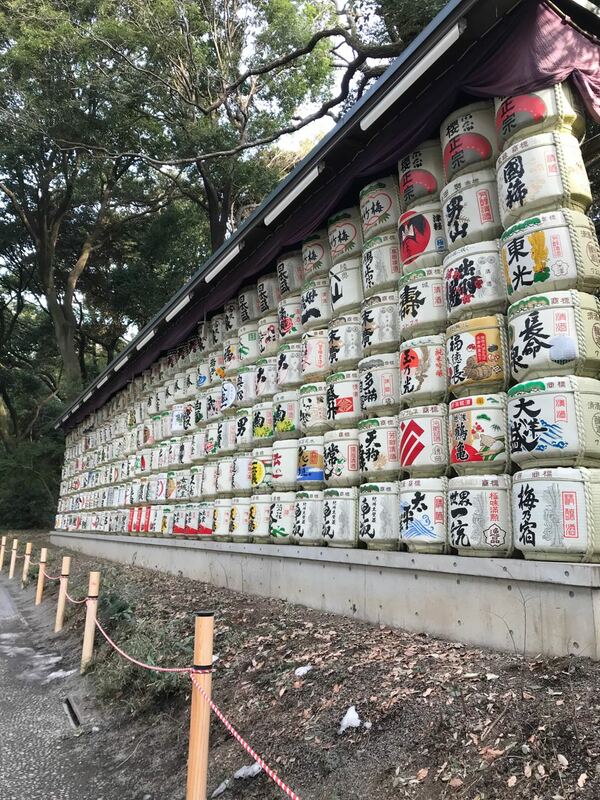 You'll need to set aside a day, and if you aren't driving you'll probably have to take a tour, but leaving Tokyo to go see Mt. Fuji, especially in the winter when it's clear, was completely worth it to me, especially as a new visitor to Japan. I somehow lucked out and the day I went to Mt. Fuji was the only clear day of my entire trip. 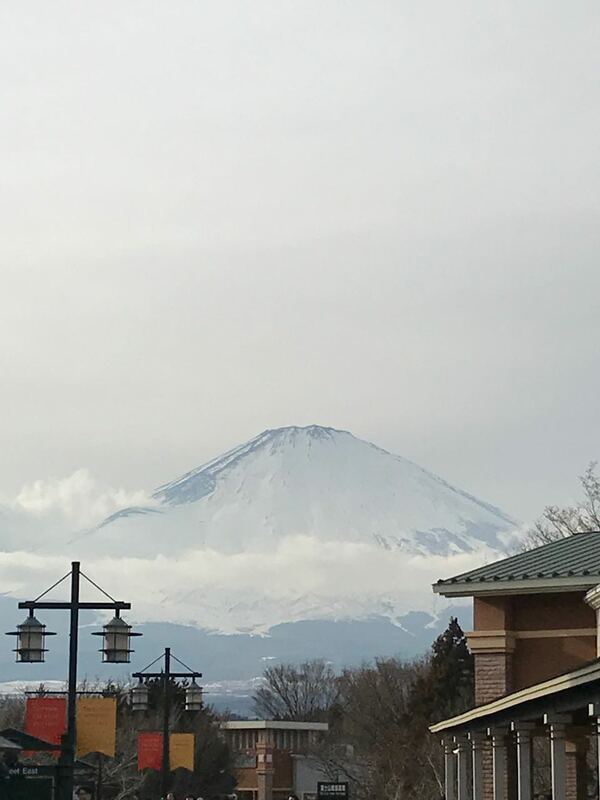 When I woke up in the morning I discovered I could see Fuji from my hotel room, and then later got to see it up close. My tour only made it to the First Station due to heavy snows, but even from there and the nearby lake district the view was stunning. Plus, the tour stopped at a local onsen where I soaked in hot springs under the vista of the mountain. That was pretty cool. Somehow this place has become a major tourist attraction considering it's where Tokyo restaurants go to buy all their fish. Tourists can't get in to watch the tuna auction anymore, but it's known as the best place for sushi in Tokyo, and the outer market is an attraction in itself, with its maze of vendor stalls and yes, more sushi restaurants. The gardens of the Imperial Palace are open to the public a few days a week, though sadly not on Fridays, which is when I finally made it there. But even the glimpse I got from the main courtyard of the grounds and the buildings made it obvious that it's worth a walk through when it is open. I stayed in the Shiodome area of Tokyo, which I'm not sure is a usual tourist location. 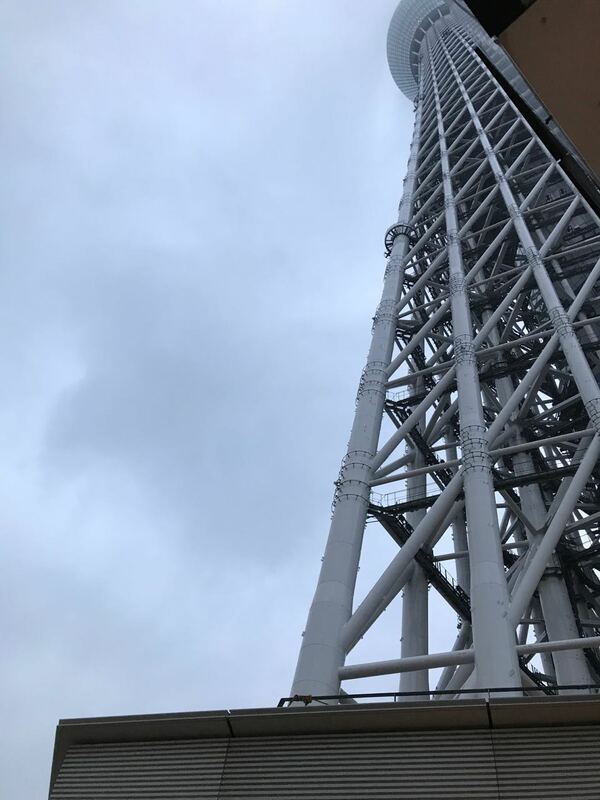 However, from this hotel located on the 25th floor of a skyscraper, the views of the rest of the city are stunning, especially at night when the Tokyo Tower is glowing brilliant orange. There is also an entire floor that is essentially an art exhibit, with rooms designed and painted by artists in a variety of Japanese themes, from Geisha Goldfish to Wabi-sabi. I stayed in the Zodiac room, where the walls were covered in mischievous animals, though that was a bit startling to wake up to in the middle of the night and see a giant tiger staring at me. Beyond the decoration, the hotel is in a great location for a lot of popular tourist sites and convenient to several subway lines via both Shiodome and Shimbashi stations. Yep, you're gonna take the subway. A lot. Tokyo is massive, and there's really no other way to get around. A Pasmo or Suica card, and a pocket wifi powering Google maps will be your best friends. But you can zoom around to all the sites you want to see, and food you want to eat. Tokyo may be the only city I've ever been to where you work up an appetite taking the train all day. But the stations are massive and I don't think I once left using the correct exit, so be prepared for plenty of walking as well.